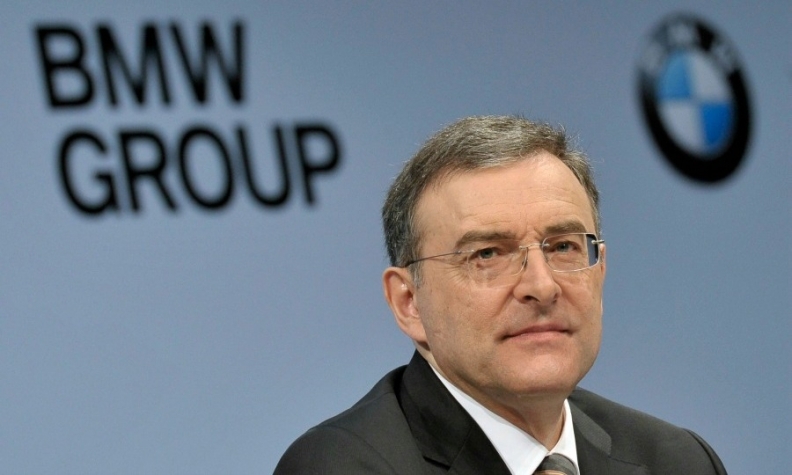 Reithofer's appointment as BMW chairman is likely to be approved despite objections. MUNICH -- BMW faces opposition at its annual shareholders meeting on Wednesday to the appointment of outgoing CEO Norbert Reithofer as its supervisory board chairman, a German newspaper reported. The German asset management company Union Investment will vote against the proposal, the Frankfurter Allgemeine Sonntagszeitung said in a report published Sunday. A supervisory board chairman needs to be at a distance from the company's management to maintain a critical overview and Reithofer's immediate appointment to the post would make that impossible, Union Investment fund manager Ingo Speich told the paper. Union Investment owns 0.7 percent of BMW shares, according to Thomson Reuters data. The investment advisory firm ISS, which advises many international shareholders, has placed a motion on the annual meeting agenda opposing Reithofer's appointment, the Frankfurter Allgemeine said. ISS said BMW would go against general corporate governance practice as there will be no cooling off period between the CEO and chairman roles. Reithofer, who turns 59 om May 29, is close to the regular 60-year-old retirement age for top executives at BMW. He will be succeeded as CEO by Harald Krueger, the company's 49-year old production chief. The Quandt family, which own almost 47 percent of BMW, have enough votes to push through Reithofer's appointment, the Frankfurter Allgemeine said.